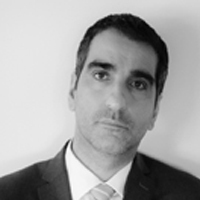 Mr Giorgos Kontellis practises law since 2002, and focuses on civil and commercial law with main interest in corporate law, commercial contracts and real estate development. Since July 2010 he heads the legal department of Kontellis-Panteleimonitis-Hekimian families enterprises, with responsibility for legal support of companies operating inter alia in the management and development of real estate property, car dealerships, car spare parts, tires, agricultural and forage machinery etc. He also serves as general counsel to corporations from various sectors such as construction, e-commerce, consumer products, food & beverage. With regard to real estate in particular, Giorgos provides strategic advice on real estate transactions and project planning, development and construction. He performs all necessary due diligence, including examining title and leases, thoroughly reviewing planning and regulatory issues and handling contract negotiations. With extensive experience and a clear understanding of the needs of our retail, commercial, residential and leisure developer clients, Giorgos provide strategic advice on planning and development opportunities and assists with site assembly, development and funding agreements, preparation and conduct of planning applications and appeals. He advises on procurement strategies and construction contract documentation (including tenders, building contracts, bonds, guarantees, collateral warranties, insurance and other commercial arrangements) and resolves construction disputes through negotiation, arbitration or litigation. George speaks English, Italian and French. He is married and father of two boys.